I’m a major fan of the Red Rising series. 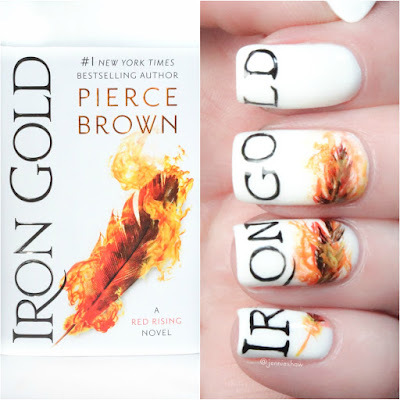 The first three blew my mind and I've been counting down the days until I could get my paws on IRON GOLD, the fourth book, and the beginning of a new trilogy, ten years after MORNING STAR. Friends, this adventure did not disappoint, and while it’s a challenge to write a review for a series installment without revealing spoilers, I’m going to do my very best because the last thing I want to do is ruin the Red Rising awesomeness. Science fiction world building can be an insurmountable task, even more so when it includes an entire solar system brimming with technology, regulated caste systems, and politics. That sort of challenge means an author’s game must be on point or it’ll quickly descend into hot-mess chaos. 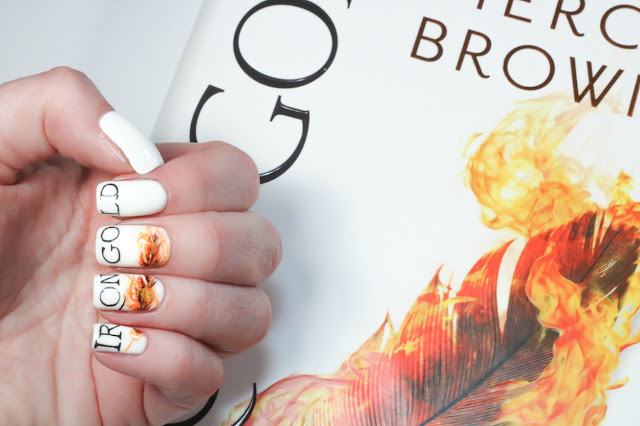 Obviously, as I’m on book four, that isn’t even remotely the case with Pierce Brown. Not only are the world elements sublimely assembled into a manner that seems foreign yet also familiar, but the character arcs lift the story to epic levels. Because for real, these characters feel like real people. Each person, regardless of where they come from, has thoughts and dreams. They love and hate with equal fierceness, bound by loyalty and a desire to protect those they hold dear. Conflicting perspectives on what that protection entails—what characters are willing to sacrifice in order to move forward in their cause—maintains tension throughout each novel, like one of those spinning funnels that quarters race around, spinning tighter and tighter until they drop. But when that quarter does drop, you’d better believe that Brown’s got three more itching to begin their descent because the moment one plotline “ends” (I put that in quotes because rarely is there an actual end) a new one appears—hydras of problems that require adaptability and diligence to overcome. Along with some fan favourites (the ones that survived, anyway), IRON GOLD introduces three more characters who have just as much at stake in the aftermath of the first three novels. The in-depth, first-person narration has these characters taking shape immediately, and now that I've finished IRON GOLD, they feel just as familiar as older friends. There's a new battle on the horizon that threatens each of them, and seeing the development from different sets of coloured eyes has drawn me even deeper into Brown's world. OMG to the extreme, folks!! With IRON GOLD, Brown has managed to raise the bar yet again, which is why I'm committed to the Red Rising series for the long haul and will continue to pre-order his books from now until forever. I experience the entire spectrum of human emotions while reading this saga, and when the last page ends, a ravenous appetite for the next instalment comes swift and fierce, so do yourself a favour and pick up this series. 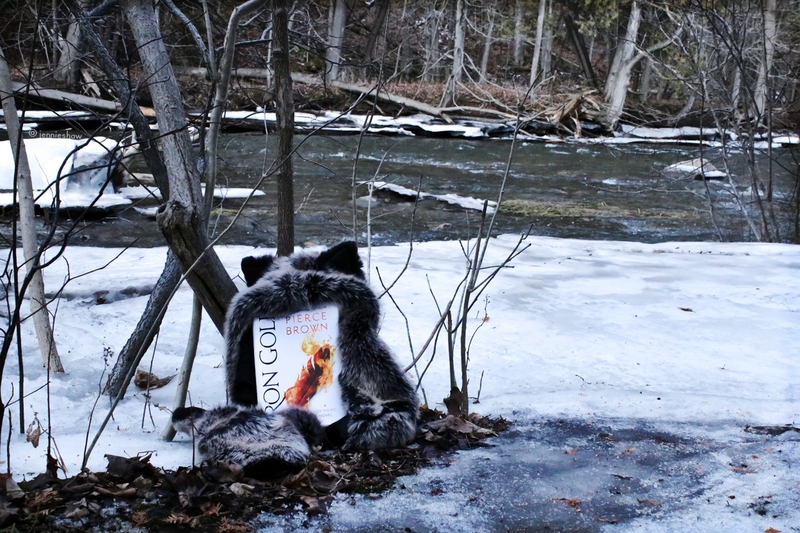 With four books already released, they’ll keep you busy for a while and then you can spend the time waiting for number five by creating a faux fur accent piece to wear proudly (which will make sense once you read the first). Put your paws up, Howlers!! Sounds like a great book. I need to find some time to start reading books again. Have a great week.